No one wants to get audited so it’s important for you to have some basic understanding of how you can best report your fantasy winnings and/or losses on your tax returns and, if necessary, make timely tax payments. Disclaimer: any information contained in this article is not intended to be represented as or used as legal and/or tax advice. This content herein is only for general informational purposes. This is very simple math that anyone should be able to keep records for. It would be a good idea that this is done for each specific site account. This method is currently used by DraftKings and FanDuel, for example. Basically, this is the industry norm for reporting. Whatever income that is received should always be reported on the tax return. It does not matter if a 1099 was received or not, or if any 1099s received are incorrect. Accurate and detailed records should be maintained for anything reported on a tax return. Each activity should have its own separate set of records. The taxpayer signing his/her own tax return is the one ultimately responsible for its accuracy and correctness. What is this 1099-K form? The 1099-K started in 2012 for payment settlement entities (PSEs), like PayPal. The 1099-K is issued if payments of third party transactions to a payee exceed $20,000 AND the number of transactions with the payee exceeds 200 for the year. Both criteria must be met for the IRS and payee to receive this form. Obviously, making sure the PayPal account does not trigger both criteria would avoid this form altogether. Who really wants another IRS form generated if this can be avoided with some planning? The UIGEA 2006 federal law legalized online betting for fantasy sports. The states, however, have the final say if fantasy sports for money are legal in their respective states. This UIGEA law, however, has nothing to do with federal income tax laws (Internal Revenue Code). The states have their own individual sets of income tax laws, if any. If someone does not use the itemized deduction, and takes the standard deduction instead, losses up to the income amount cannot be deducted under this method. Another approach would be entering an activity for profit, like a trade or business. A trade or business is generally any activity engaged in to make a profit, with a profit motive. This approach is really a case-by-case scenario as there are many factors to consider if this approach would be appropriate. An activity or business for profit reports the specific income and expenses of this activity on 1040 Schedule C.
In this case, income can be offset with losses, even if the losses exceed the activity’s income. This scenario, however, could be dangerous waters as it may trigger future unwanted events, the first being an automatic audit flag being raised. Other things to consider might be “what other things are on my tax return that are already audit flags, if any?” “Do I know what audit flags are and what issues may raise these?” These issues should all be considered before blindly assuming whatever potential incorrect assumptions are about to be made without knowing what consequences may lie ahead. That could turn out to be a critical mistake. –	Is this activity conducted in a businesslike manner? –	Does the amount of time and effort put into this activity show there is a profit motive? –	Are you dependent on this income to support yourself? –	If you do have any losses, are they due to circumstances beyond your control or are common in the start-up phase of your particular industry? –	What methods of operation have you changed in order to improve your profitability? –	Do you have the knowledge/skill needed to conduct this activity as a successful business? –	Have you been profitable in the past in conducting similar activities? –	Has this activity been profitable in some years? –	Do you expect to profit from any asset appreciation in the future from this activity? Some of these factors are obviously subjective and some are not. Again, this would dictate a case-by-case scenario. Specifically, bullets # 7 and 8 would be historic fact and not subjective, so these bullets should not detrimentally be pointed at your own feet. Pre-planning for these non-subjective issues will be the best factual historic evidence to start and should be considered as top priorities as grey areas are situation dependent. Recorded numbers are for the record, on the record. There is no grey there. The IRS will look at the historical facts first in developing issues because at that point, that is all they have in their database and algorithms. It would seem logical that those very same issues are pre-countered so they never show up on their end. Presumption of Profit Test – The IRS presumes that an activity is conducted as a for profit activity if it was profitable in at least 3 of the last 5 years, including the current year (activities specifically regarding horses have different rules). This activity must basically be the same every year during this multi-year time frame. So based on this premise, there are potential issues to plan for, not just for the current year but the effects on future years. John Doe started playing DFS for the first time this year and is planning on doing so in the future as a for profit activity. John decides that with increased experience, knowledge, and bankroll, he will be more profitable in future years. John made $5,000 from DraftKings, lost $4,900 on FanDuel, and lost $100 on FantasyAces. John has no other business expenses. John reports a net profit of ($0) on his 1040 Schedule C.
John forgot about the $100 loss from FantasyAcesand reports a net profit of $100 on his Schedule C. John realizes this afterwards but lets it go because John didn’t want to burn one of his two not profitable years for the next five years for the IRS presumption of profit test since he is profitable this year. John does not want that clock to start ticking on this in year 1. John does not want this issue to come up because he does not want the IRS potentially looking at 5 years of tax returns, let alone one. John does not want to raise any audit flags. John has concluded he will take a big picture philosophy for what is best for him in the long term. John is satisfied with Example B vs. Example A. 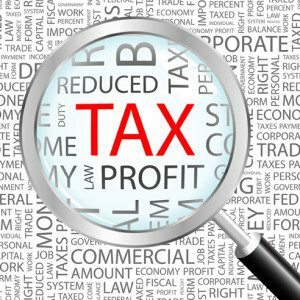 For profit activities reporting a net profit will be subject to self-employed (SE) tax. These estimated tax payments are made to the IRS on a quarterly basis. They are similar to withholding taxes on a W-2 wage but since there is no withholding on SE income, estimated tax payments fill this void. An important note on this, like the withholding taxes on W-2s, taxes are due when the income is made, if the taxes are paid but not sufficiently enough for a particular quarter, late-payment penalties may be assessed. For net income earned from January through March – due date is April 15. For net income earned in April and May – due date is June 16. For net income earned from September through December – due date is January 15 (next year). The last quarterly due date will be very important for football DFS players. Since the NFL regular season runs from September through December, any net income earned during this period will have an estimated tax due date on January 15, NOT April 15 when tax returns are due. To avoid late-payment tax penalties and interest, profitable DFS players will definitely want to circle January 15 in red on their calendars. Taxes will be paid on these profits anyway. No need to add additional penalties and interest on top of that because a tax payment date was missed or late. Now you know and you are very welcome. 1. Be knowledgeable enough to understand the laws of your personal circumstance. 2. Do not be too greedy. 3. If you are not certain that you pass #1 AND #2, consult a tax professional BEFORE the damage is done. It is much less costly to plan beforehand than it is to pay (+ penalties, interest, representation fees, time wasted, etc.) for past mistakes.